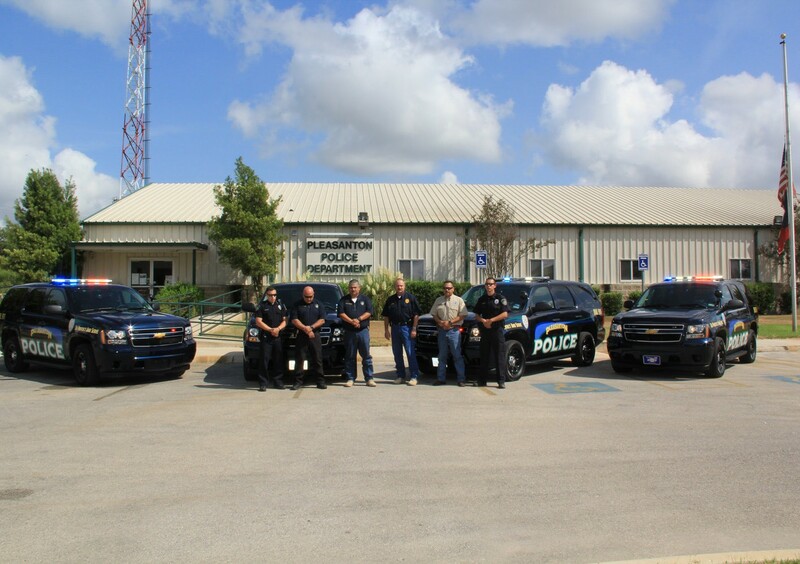 The Atascosa County Sheriff’s Office gathered with the Sheriff, CID Deputies, and support staff standing, dressed in blue, for a minute of silence with lights on in memory of Darren Goforth on Friday, September 4, 2015 at 11 a.m.#backtheblue. The Pleasanton Police Department gathered at the station to pay respect to fallen Officer Goforth on September 4. Flags flew at half-staff during the moment of silence as well as the entire day on Friday. 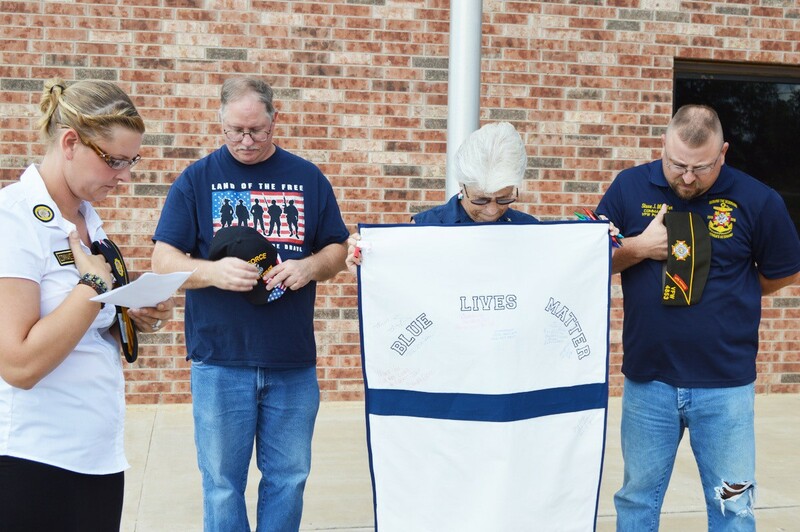 Commander Theresea Cruz (left) offered a prayer as Jim Wilson (member and retired law enforcement), Debbie Wright and Steve J. Mueller Commander at the VFW.